Our office uses nickel titanium rotary files to perform root canal treatments . Dr. Spindel finds that these files along with a three dimension warm guttapercha sealing technique, provide consistently excellent results. Titanium files, when placed in a curvy canal bend so that the dentist can keep the natural anatomy of a tooth intact. An electronic apex locator is used as well as radiographs to determine measurements of precise tooth lengths and this measurent when combined with the rotary file technique is especially atraumatic procedure with minimum intravisit pain. Listen to our music or bring your own Ipod to listen to your favorite music. Patients actually fall asleep during this procedure. 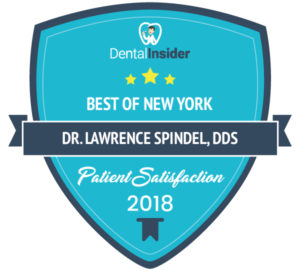 Most endodontic procedures can be handled in our office but ocassionally, if either the patient or Dr Spindel feels that a tooth would best be treated by an endodontist, he can refer you to a fine one. 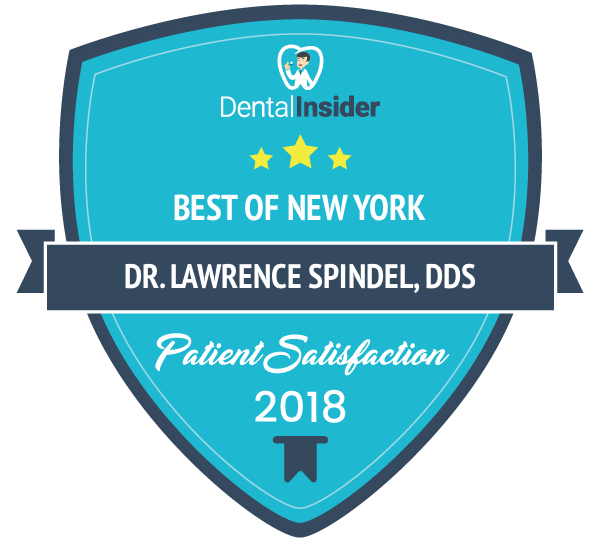 Lawrence Spindel DDS has been recognized as one of the top New York Dentistry practices.